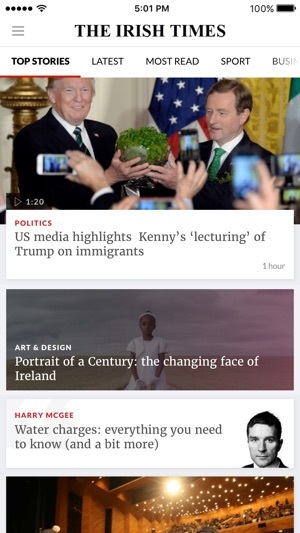 Stay connected with The Irish Times app. 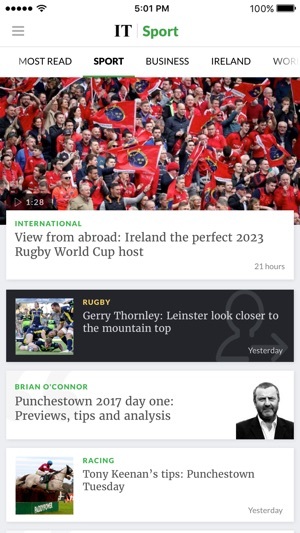 The app brings you breaking news from Ireland and around the world, with comprehensive coverage of the latest in business and sport. 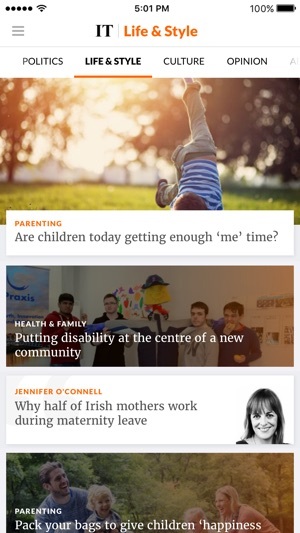 Enjoy Irish Times quality coverage in a range of new sections, including opinion, culture and life and style. Experience our multimedia content via video, podcasts and award-winning Irish Times photography. Use our tools, to share, save and comment on articles. 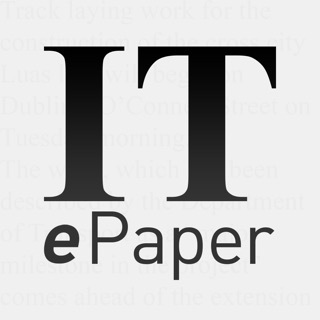 The Irish Times is now offering digital subscriptions through iTunes. 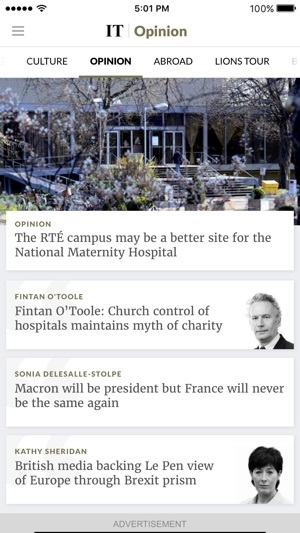 Standard Digital gives unlimited access to all content on irishtimes.com on your computer, tablet or mobile, as well as access to the news app on your smartphone or tablet. This includes access to our exclusive subscriber only content. €11.99 per month. ◾ Our Subscriber Rewards package, subscribers are invited to enter exclusive competitions, attend special events and are entitled to additional discounts on Rewarding Times offers. Subscribe now and your first week is free. Promotional offers apply to new subscribers only. Payment will be charged to your iTunes account at confirmation of payment. 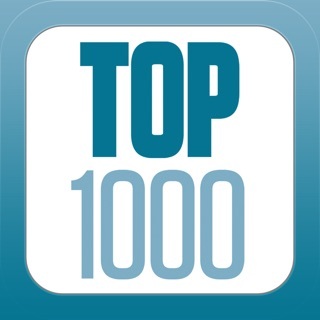 Your subscription will automatically renew each month and your credit card will be charged through your iTunes account. Your subscription will automatically renew unless auto-renew is turned off at least 24 hours before the end of the current billing period. You can turn off auto-renew at any time from your iTunes account settings. You will continue having access to The Irish Times for the remainder of your paid billing cycle, after which your account will no longer be billed. 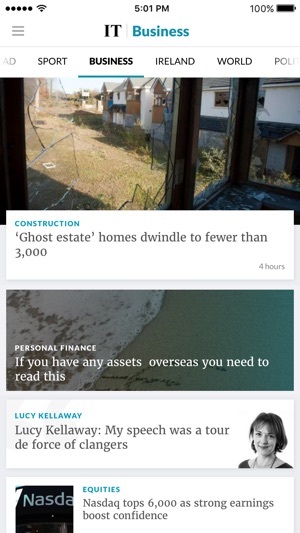 This app has limited features and fails frequently in its only purpose __ displaying articles. Given that most content is behind a paywall it is baffling why IT would torture its customers in this fashion.